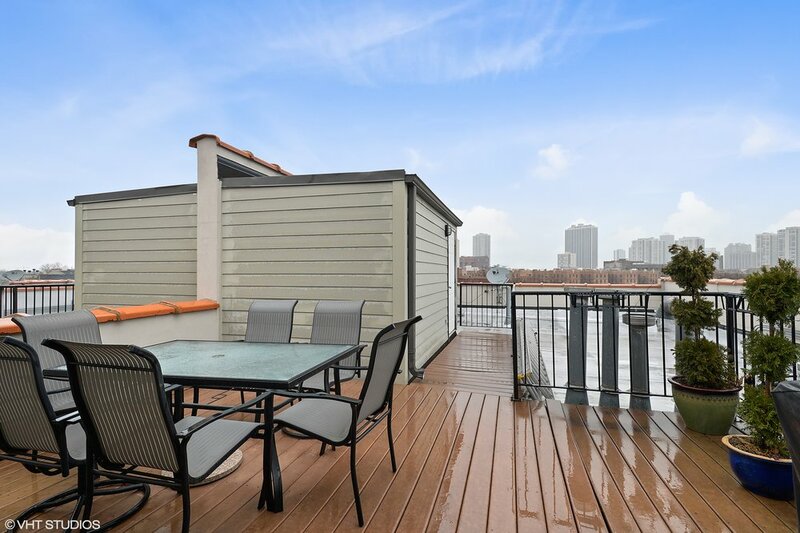 End unit Penthouse with two bedrooms, two full baths, dedicated office space, and separate dining space. Three sides of sunshine and views of the city skyscape from inside this well-maintained walk-up building. This home features 2000 square feet of living space plus an additional 500 square feet of outdoor space between its private roof deck and private master suite terrace. Lofted ceilings and skylights make the open living, dining, and kitchen spaces bright, and the Brazilian cherry floors add wonderful accents. The master bedroom and en-suite is king sized, and the 2nd bedroom easily fits a queen. Laundry in unit, and one gated exterior parking space is included in the purchase price. Additional first come/first serve gated parking is also available.